We’ve updated this post for 2019! Check out 26 Can’t-Miss Education Conferences for 2019. Our team spends a lot of time traveling to conferences around the country to learn from experts, facilitate sessions and cover various conference happenings. Throughout our travels, we continue to curate and update a list of our favorites that we think everyone should check out. “iNACOL” is the leading edge of blended and online learning, drawing an international audience of educators, policymakers, innovators and everyone in between. This year’s symposium brought together 3,500 experts, EdLeaders and educators to explore next-gen learning for K-12 students in over 200 sessions. Topic tracks included K-12 online learning, K-12 blended learning, competency-based pathways, policy, research, quality assurance and more. Check out our Storify capturing the 2016 theme of Innovation for Equity. Embarking on its seventh year, SXSWedu hosts approximately 14,000 attendees, 1,000 speakers, 400 sessions and 200 expos. Striking a balance in focus between K-12 education, HigherEd, policy and tech innovation, SXSWEdu is able to showcase what’s next in education and remain a true thought leadership summit. Check out our recaps of the 2016 conference. Over 300 of the best and brightest in business, entrepreneurship, higher education and education innovation converge for three days in the “high tech mecca” of Salt Lake City, Utah, to transform the way you think about innovations in learning. Check out what it meant for educators and 20 high impact EdTech enterprises, which we saw in our time at ASU+GSV in 2015. With over 30,000 attendees from all around the world and thousands of exhibitors demonstrating the latest in EdTech, BETT is the world’s largest EdTech conference. Taking place in London, BETT hosts “the savviest speakers and companies in the education industry and the most enthusiastic educators.” Here are opening day highlights from BETT 2016. The 2017 event takes place January 25-28. Started in 1999, and hosted by New Schools Venture Fund, this invitation-only gathering brings together more than 1,000 entrepreneurs, educators, community leaders, funders and policymakers who are focused on reimagining schools to prepare all students, from every background, for the future. We’re eager to see what next year has to bring. NCSC gives attendees an opportunity to connect with over 4,500 other charter school leaders and educators from across the country. In 130 breakout sessions and unique networking events, participants can share ideas and strategies for growing and improving charter schools. See the 2016 highlights to learn more. See also Getting Smart staff members’ reflections on the conference from an international perspective here. June 11-14, 2017; Washington, D.C.
Next year’s theme for the 72nd annual professional learning experience is “Empower Your Learning.” This conference is “for every educator,” aiming to gather the best minds in educational leadership including teachers, principals, superintendents, instructional coaches, university professors and central office staffers. Look for innovations in pedagogy, campus and district leadership, and more. Dubbed as the “premier forum in which to learn, exchange ideas and survey the field of EdTech,” ISTE Is where educators and school leaders go to learn about new tools and strategies. With over 500 companies, 1,000 sessions and 16,000 educators attending, this event is perfect for industry reps, teachers, tech coordinators/directors, administrators, library media specialists and policy makers. Check out how we were inspired by ISTE 2016 here. CoSN is the place to be if you’re a district tech director or leader. The 2017 event will be celebrating the 25th anniversary with the theme: Invent the Future, aiming to provide technology leaders with the resources to successfully effect change. Sessions cover specifics around common challenges, emerging trends and best practices for what’s next in EdTech. There are also plenty of opportunities to network, share ideas and maximize professional development at breakout sessions, workshops and pre- and post-conference events. With the 2016 event wrapped up, SETDA looks ahead to its 16th year. One of the most important convenings for state EdTech officials of the year brings together leaders from over 40 state departments of education to join leaders in EdTech, assessment, instructional materials and professional development to collaborate and engage in in-depth dialogue. Thought leaders, educators and other great minds from around the world join to “exchange ideas, share best practices and address today’s toughest educational challenges.” Next year’s New Orleans event will host 2,000 attendees and over 150 informative sessions. 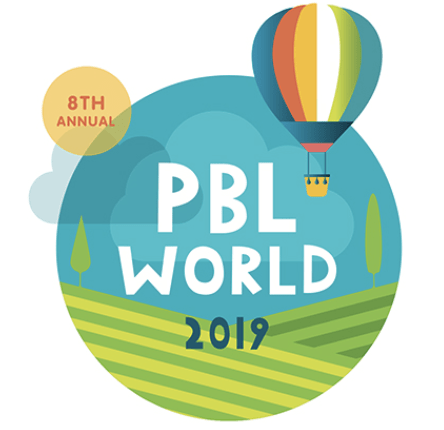 PBL World is the premier conference for project-based learning, bringing together dedicated teachers, instructional coaches and school leaders. The conference features Buck Institute for Education’s (BIE) Gold Standard PBL 101 Workshop, Leadership Academy, Coaching Academy and PBL 201 sessions. Check out the PBL World 2016 Highlights, an article highlighting the focus on equity from 2016’s conference, and a podcast on students and leaders from this year’s PBL World. This gathering of innovative and inspiring educators is focused on creating greater opportunities for students to learn deeply. Attend the 5th annual conference to experience deeper learning hands-on through interactive workshops, makerspace and deep dives. You can see more of our blog coverage from last year’s amazing Deeper Learning conference here and a series of videos from the conference with a focus on equity and deeper learning. NTAC 2016 was themed Making It Personal—Connecting the School and the Student, with the guiding belief that through the creative use of technology, collaborative project designs and empowering student voice, students can achieve academic and social development success. NTAC explores the possibilities of personalized learning in a project-based world. Here’s a reflection we shared on the revolution of teacher professional development offered at the conference. This year will be the 9th annual summit hosted by the Foundation for Excellence in Education. The best and brightest from around the nation will meet to share strategies with the goal of transforming lives through education, this year’s theme for the event. Sessions cover policies and practices so it’s a great opportunity for lawmakers, advocates and policymakers to learn more about reform. Here’s our recap of last year’s summit. November 30-December 2, 2016, Washington, D.C. The largest national independent EdTech conference discussing tech trends, strategies and best practices for student and school success. 2017 marks the 37th annual event focusing on the Future of Education Technology. With over 10,000 attendees, 900 presentations and workshops, and 450 exhibiting companies, TCEA is the largest state convention in the US. Sessions feature nationally-recognized experts with topics catering to every educator. CUE is the largest and oldest EdTech conference in California and is targeted towards educators and EdLeaders looking to advance student achievement by using technology in the classroom. The conference has been held for over 35 years and provides a best-value experience. Education Elements has held this annual summit for 2 years, but is has been invite-only both years. 2017 will be the first year that it is open to the public, and it’s expected that there will be 500 innovative education leaders in attendance. The goal: learning from and with each other through workshops, keynotes, networking events and tech company tours. Educators and leaders enjoy this two day conference because it gives them an opportunity to discuss blended learning as it exists today in their schools and classrooms; from day-to-day implementation to strategies and systems that support replication and scalability. This will be the 6th year for Serious Play, a leadership conference that embraces the idea that games can revolutionize learning. Speakers from around the world share tips on how to move game-based education forward and their experience creating or using games in the classroom as well as healthcare institutions, government, military and corporations. Attendees actively listen, share and participate in informal sessions revolving around the future of serious games. Innovation. Information. Inspiration. In distance education, keeping up means staying up to date with what’s next. Last year over 800 participants attended more than 130 sessions, and next year is looking to be even bigger and better. Attendees can expect to connect with online learning leaders from around the world and discover innovative ways to teach and support online learners, as well as best strategies, practices and solutions. A valuable and comprehensive PD conference for educators and administrators working with middle school students. AMLE features over 300 sessions in 60 topic areas with hands-on and meet-and-greet opportunities. Because AMLE knows everybody learns differently, the conference caters to the needs of every educator with a multifaceted approach—various session types and styles, opportunities for one-on-one discussions with the leaders, explanations and explorations of technology, and networking—for a most valuable and comprehensive professional development event. Learn about technologies that are changing the world of training and development and enhancing learning experiences. This conference is for training and learning professionals focused on the design, development, management, and/or distribution of tech-based learning, performance support and blended solutions. OEB is a global, cross-sector conference on tech-supported learning and training. In 2016, OEB is focused on “Owning Learning,” embracing the new world of the empowered learner. Learn from over 2,300 participants from over 100 countries in various hands-on workshops, plenaries, interactive breakout sessions, debates, labs and demos. Big Picture Learning’s annual Big Bang conference is also the International Conference on Student-Centered Learning. Last year, over 50 students from around the country joined over 450 educators to lead, teach and participate. Did we miss one of your favorites? Tweet us at @Getting_Smart so we can check it out! Getting Smart offers a variety of interactive conference services including podcasting, media coverage and social media amplifications. For more, check out Getting Smart Services. To learn more, email info@GettingSmart.com and place “conference media” in the title. We’d love to help you create high levels of engagement at your conference and extend the learning opportunities for attendees after the conference is over. Want to learn more? Contact Megan@GettingSmart.com. Another great academic technology conference in the Midwest is SLATE – Supporting Learning & Technology in Education. Celebrating its 15th year, the conference will be held on October 18-20, 2017 at the Northern Illinois University Conference Center in Naperville, IL. 3 Days • 15 Vendors • Over 60 Presentations • 100 schools represented. Its a great value for the amount of information you get out of this conference. Very engaging. Lots of take-aways. Its one of the premier events in the Midwest. Visit their website for additional information. The SLATE Conference is one of the best! It is worthwhile if you are an instructional designer, instructional technologist, system admin, faculty, CIO, thought leader, and just about anyone in higher education. Such a fantastic venue and near the city of Chicago in Naperville. Great price and fantastic presentations. Skip the travel and the high priced conferences and check out SLATE before spending your professional development dollars. Another great conference is the annual General & Special Education Conference. The 2018 Seattle event will be held at the Washington State Convention Center on March 7-9 and the San Diego event will be held at the Town & Country Resort and Conference Center in San Diego. These are unique events because full day and multiple day courses are offered on a variety of topics including dyslexia, classroom behavior, classroom technology, AAC, complex disorders, mental health, autism, etc. visit http://www.rehabseminars.org to download the full course details. Thanks for the suggestion, Vicki! Our home base is Seattle, so we’ll be sure to keep an eye on this one. The Florida Parent Educators Association(FPEA.com)Convention each year in Orlando, Florida over Memorial Day weekend is AMAZING! It has approx 16,000 attendees, lots and lots of education related vendors, lectures, and more! There are family style activities, like a concert and picnic style games, including parents versus kids tug of war! So, so fun, equipping, and interesting! Ooh, the Florida Parent Educators Association(FPEA) also has a Special Needs Conference, from Gifted to Struggling Learners, and a College and Career Fair each November in Orlando, Florida, too!